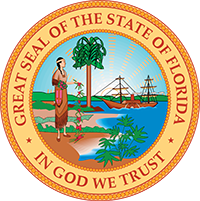 On March 19, 2019, Governor Ron DeSantis announced the appointment of Judge Stephen Everett to the Second Circuit Court. The Second Circuit covers the following counties: Franklin, Gadsden, Jefferson, Leon, Liberty and Wakulla. Stephen (Steve) Everett, 38, of North Carolina has served as a Judge of Leon County since April 2016. He received his bachelor’s degree from the University of Florida and his law degree from Louisiana State University. Prior to joining the bench, Judge Everett served as both an Assistant State Attorney and Assistant State Public Defender. Previously he served in the General Counsel’s office of the Department of Economic Opportunity. Everett fills the vacancy created by the resignation of Judge Karen Gievers.